April 22, 2003-ENEL, the second electricity company in Europe, has selected AleaSoft for the supply of a software tool for the forecasting of the Italian electricity demand. The product delivered is AleaMid, a new generation tool that obtains hourly demand forecasting one year ahead and is the result of years of research in this field. 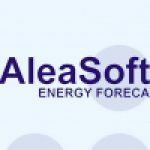 ALEASOFT, founded in 1999, is a Spanish company specialised in the development of advanced tools for electricity demand and prices forecasting. In this field AleaSoft has its own technology and methodology, obtaining excellent results. The services of AleaSoft aim to satisfy the needs of enterprises that operate in the energy markets. They comprise the supply of advanced software as well as consulting services related to the processes of forecasting, data analysis, modelisation, data mining, simulation and energy optimisation. At the moment the company is the leading Spanish supplier for electricity forecasting solutions, with clients like Endesa, Unión Fenosa or Viesgo. AleaSoft’s objective in the mid term is to become the leading European company in electricity forecasting. By the end of 2003, AleaSoft is planning to open a company in Switzerland, AleaSoft Finance, with the objective of developing and commercialising forecasting and risk applications for the financial sector.